A modern greenhouse needs to satisfy many requirements. A grower’s first requirement is often to have an energy-efficient greenhouse. Sustainable cultivation is a development that’s here to stay. With the Ultra-Clima, KUBO Group has made advancements towards the greenhouse of the future. It is a greenhouse that combines all the requirements of modern growers in one: higher yields, maximum food safety, minimum energy and water consumption, minimum CO2 emissions and improved returns. The Ultra-Clima improves your greenhouse climate by offering total control of climate conditions. The greenhouse can, for instance, be vented with both inside and outside air or a combination of the two, more sunlight can enter and CO2 levels are raised significantly. In short, the best growing climate for optimal photosynthesis. The Ultra-Clima guarantees revolutionary higher revenues in comparison with other greenhouses. The Ultra-Clima concept is based on semi-closed cultivation, using overpressure and meshed air intake and outtake. This results in effective insect deterrence and lower disease levels, which offer the possibility of residue-free cultivation. The result is maximum food safety. Energy-efficient fans, dehumidification using heated outside air, heating using low-value heat, longer use of energy screens; these are all Ultra-Clima features. Like an important fertiliser, CO2 is vital for optimal crop production. Ultra-Clima utilises this considerably more effectively than conventional greenhouses. This results in significant reductions in energy consumption and CO2 emissions. Fresh water is becoming a scarce resource. The Ultra-Clima greenhouse offers extremely high water returns. Recycling irrigation water (including fertilisers), and condensation and rainwater collection are essential features of the Ultra-Clima concept. This is an important factor for your company’s continuity. Continuity demands profitability. The Ultra-Clima offers you a wealth of opportunities to increase your returns. With lower input and higher output this concept enables you to achieve higher quality and higher sales prices, resulting in lower costs. Investing in the Ultra-Clima means investing in a sustainable future with higher returns! 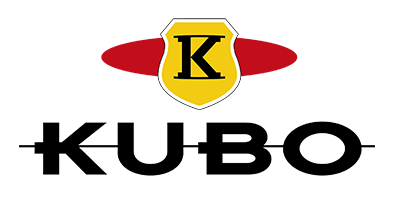 With the ‘Blue Engineering’ concept, KUBO Group aims to lead the way in using the latest technologies and innovations. We aim to put our stamp on global modern greenhouse horticulture. Blue Engineering results in innovations in greenhouses, innovations in greenhouse construction and innovations in greenhouse concepts. This combination of factors enables much higher returns. Positive experiences have been amassed with the concept on more than 200 hectares (2015) worldwide. The Ultra-Clima has since proven itself in diverse climate conditions and with different crops. Continuous innovation ensures that the concept is always being further perfected. Ultra-Clima: the incubator for tomorrow’s innovations. All of which makes this the ideal place to create the future. In the Ultra-Clima, we create innovative technologies that we’ll roll out across market gardening worldwide. For example, Night Cooling and the Monitoring Platform – our two latest innovations on the path to tomorrow. No reviews were found for Ultra Clima - Greenhouse. Be the first to review!